Now, I see very few digital hands up. So I assume most of you are using the traditional form of Gmail. It takes a little getting uses to but you should give the Inbox version of Gmail a chance especially if you are work better in a graphic environment. The snooze feature allows you to send emails that you want to respond to later to a snooze folder for attention at a specific time and date. 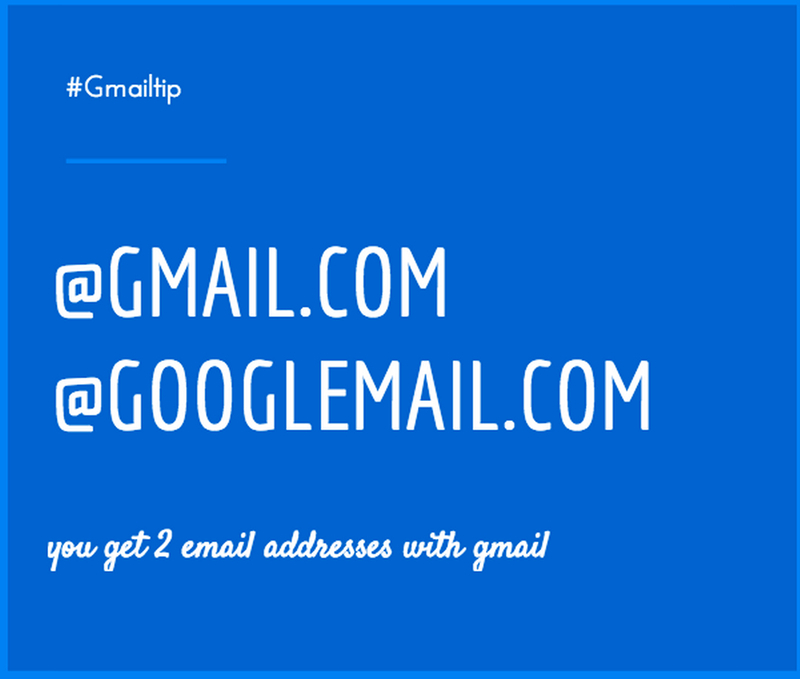 Did you know that you get two google email addresses. The one everyone knows is …@gmail.com. But, you automatically get another one which is …@googlemail.com So the logical question is why would you need two google email addesses? Answer: to cut down on Spam and filter important emails. The author of Digital Inspiration suggests giving the googlemail.com address to your important contacts and setting up a google email filter to store those emails into s special folder. Makes sense. A friend in Portland posted this great find in the Digital Inspiration Blog Basically it’s a slam dunk method of finding any email with an attachment over a certain number of bytes. I keep all my gmail going back to 2006. All you have to do is enter a file size number in bytes. 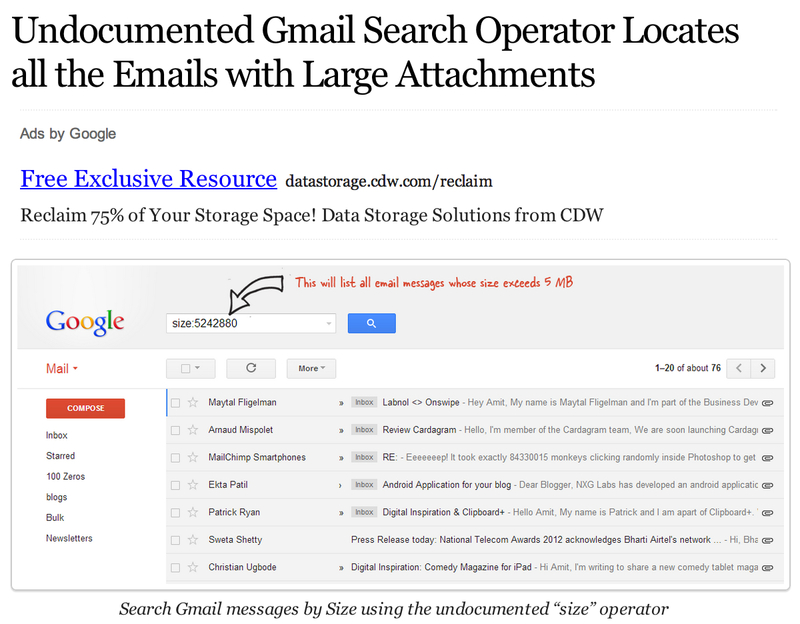 For example this search size:10485760 returned all emails with attachments greater than 10 mb. Chevere!